From a sustainable point of view, we are coming to a time where being self sufficient not only saves us some money but is also healthier. By planting and growing our own crops we eliminate from our diets the harmful pesticides, chemical additives and growth hormones which so often lace our foods these days. The introduction of fresh produce into your diet can also only be of great benefit. Fresh lettuce, tomatoes, onions and cucumbers for your salad as opposed to pre-packed? Yes please! Add heat-loving sweet and chilli peppers, shade loving rocket, and a multitude of herbs, and you already have the makings of a fresh and healthy meal. By planting a diverse range of plants in close proximity, and with the addition of mulch – by adding layers upon layers of beneficial organisms to the soil – the integrity of the ground is changed. There have been instances where food forests change ground from sand to incredibly rich loamy nutrient-dense soil. When a plant is allowed to grow at it’s own pace, ripen on the vine, and develop its proper colouring and size, it is packed full of flavour, nutrients and intensity. 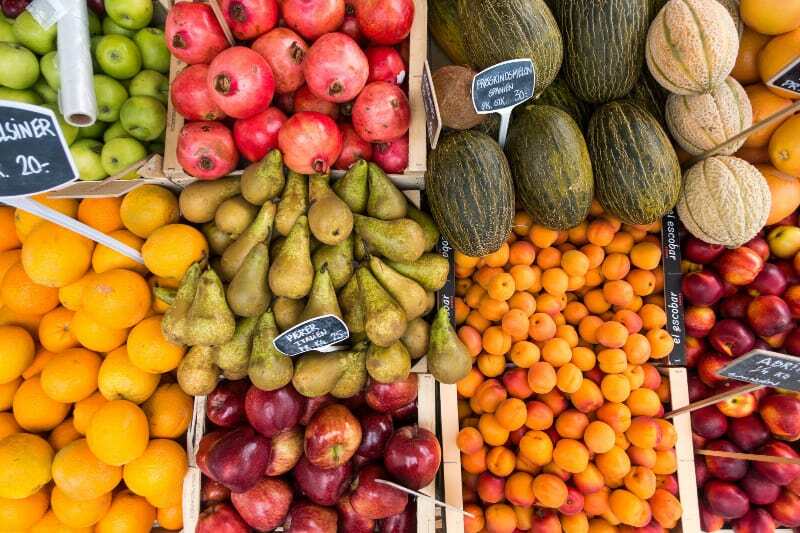 Store bought food is picked early so that it can ripen on the shelves – a modern convenience developed for us humans. Much of it’s nutrition or taste is under-developed or simply lacking. 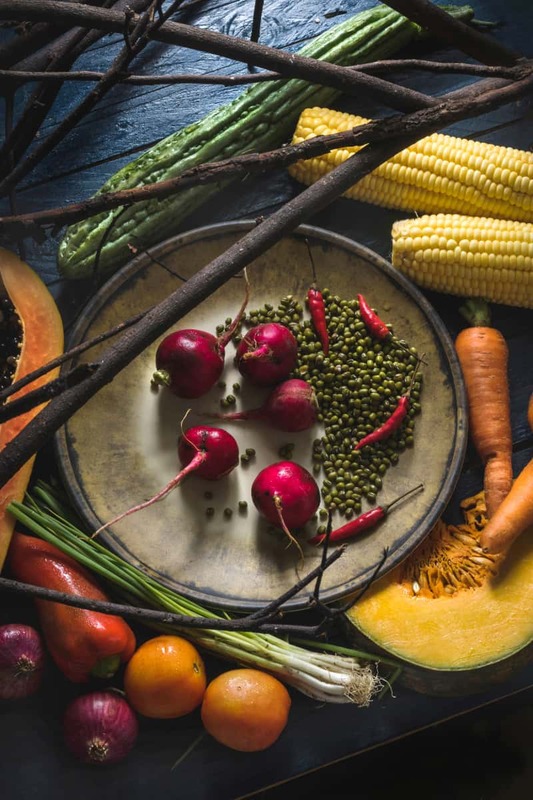 In a world where humans are depleting natural resources at alarming rates, it’s refreshing and a source of hope to know that food forests are a possibility. A food forest is a long term, sustainable system of growing food that incorporates nuts and fruit trees, herbs, perennial vegetables and useful shrubs, all growing together as a forest. The layered aesthetic created is both beautiful and functional, as smaller plants which require less light can thrive in the shade of taller plants and vegetable shrubs which need sun can be grown on borders, to gain maximum sunlight. How we have learned throughout our lives to garden, is not how ‘nature gardens’. When dead leaves fall in a forest, no one picks them up. (We usually hasten to “clean up this mess”) Nature allows moisture to form in between the leaves and the ground, permitting rot, and a cycle of decay. This natural process allows for a host of organisms to multiply- beneficial creatures which introduce other organisms, such as moss and fungi. This is why in a forest there is a always a cool, fresh, living feeling. Everything is growing, everything has food to feed off and there are hosts more animals, insects and birds around. Imagine creating this living, sustainable environment in your own space. Allowing nature to do it’s job, with minimal interference, and maximum benefit to the environment and you! Rainforests constitute 2% of the Earths surface area, and host 50% of our land-living animals and plants. Whilst we are not trying to emulate rainforests per se, the fact remains that forests are where creatures and plants are happiest, and where they thrive. The biggest rule of Food forests is permaculture: All that you will plant and grow will be, to some degree, benefiting the plants around it. The absolute first step is to test your soil. This will determine if your soil is lacking in certain minerals. An amendment can then be made to fix loamy, sandy or acidic soil. Adding organic matter such as compost, acidic mulches (for example pine needle mulch) and sulphur will lower the pH of soil. Bare in mind a high pH soil is alkaline and will tolerate alkaline loving plants. Over time the addition of organic rotting material will bring the soil pH to a balanced- neutral-acidic level. To lower the pH of your soil (to make it more acidic) add nitrogen. Either by planting nitrogen fixing plants, or by the addition of sphagnum peat moss or manure. As a rule of thumb, an acidic soil is 1-6.9 on the pH scale, neutral is 7, and upwards of 7 to 14 is considered alkaline. The starting point is applying a thick layer of mulch to your area. This mulch should be left to decompose, with frequent watering. If you need to, invest in a rain water collection system to adequately water your baby food forest. To plant over an area of grassland, the grass will first need to be killed. Either suppress with hay bales and allow to decompose over time, smother with weighted black bags, or use carpet and cardboard layers to suppress grass. This will kill even kikuyu. Whilst this is decomposing, survey the land you wish to use. Land is never all equal, straight and level. Take time to survey which areas will receive sunlight at which parts of the day and which will receive more shade. Your forest will receive more sun at its edges, and so plants which will require more sun should go there. Shade will be created by larger trees and evergreen plants – ideal for shrubs and bushes which will require less sun. Over time, you will realise the necessity of this planning stage – arduous at times – but integral in figuring out which plants will create shade for others over time, and the relationship between evergreen plants and deciduous ones. This saves time in the long run! You may wish to plant a “shelterbelt” of faster growing trees which can create shelter for younger developing fruit and nut trees. These can be removed after 5 or so years, if desired. In this time the fruit trees will have matured and will no longer need as much protection. If you are suppressing grass with various methods, trees can be planted and the mulching can be done around them. Before any planting takes place…You must think about how many resources are at your disposal and whether you wish to prune and maintain, which allows closer planting, or if you wish to plant trees with enough natural space to reach their maximum growth capacity. 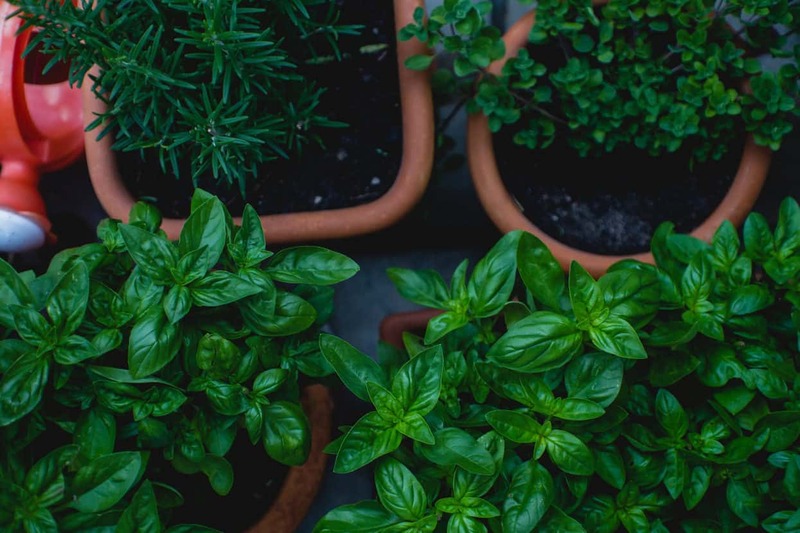 If collecting seeds and propagating plants is within your scope of ability, this will save you in financial outlay, but take a considerable amount of time. A plan below shows the common food forest layout of plants. Layers of plants at different heights is what makes this micro-climate so effective. Quoting the Permaculture Apprentice (find him |HERE|) “To achieve a low maintenance abundance of fruit, nuts, berries and herbs you’ll want to create a forest-like system where fertility comes from various sources, where you’re greatly aided by fungi, where wildlife is your primary pest control, where soil holds water like a sponge, and where you have a high diversity of plants”. This is the beautiful reality of a food garden. Over time, you are building your own little ecosystem with it’s own fully functional micro-climate. Groundcovers now form part of the forest floor. Select various low growing ground covers which will over time form green mulch. They act as important nitrogen fixing plants. Great suggestions are mustard, lupins, rye grass and buckwheat, bulbinella, dymondia and wild garlic. These can all be sown once your soil has been amended to your satisfaction. Ground-covers are also essential to keep weeds out. The nitrogen they supply to the soil is necessary to aid fruit-baring trees and shrubs with healthy production. Photosynthesis can only occur with sufficient nitrogen- leafy green plants need nitrogen to become green and lush. Phosphorous aids in cell division, the development of buds, and fruit set. Potassium allows trees and shrubs to fruit. Potassium is also excellent to help plants ward off disease. In countries like South Africa and Australia, where we often experience drought conditions, it’s best to be prepared. Mulch heavily, use more organic matter than you think you need, to retain water content in soil, and in sloped areas plant in deep steps of soil. No dig gardening is a philosophy all on it’s own with many who are for and many who are against it. We suggest, having done some research on the topic, that you make your own informed decision as to whether you employ this method or not. Alongside the food-forest cycle of entrenching nutrients into the soil via fallen plant matter, no-dig gardening does seem to align well. This planting can be done when ground-covers and small shrubs are planted. We found this amazing suggestion from ThisNZLife: Plant fruit trees in winter. Before placing the root balls into the ground, dust with fungi spores. These fungi spores live on the root system, maximising it’s surface area, and allowing as many nutrients into the roots as possible. The stress of transplanting is also reduced. Stake all vulnerable plants to ensure they do not move once planted. Only plant trees suited to your climate, and type of soil. Indigenous plants are best, and deciduous plants which shed leaves annually will also be well suited, but do not plant expensive varieties of tropical plants which are not suited to your climate. Various types of pears, naartjies, oranges, lemons, limes, kumquats, apples, figs and stone fruit are ideal for a South African food forest. 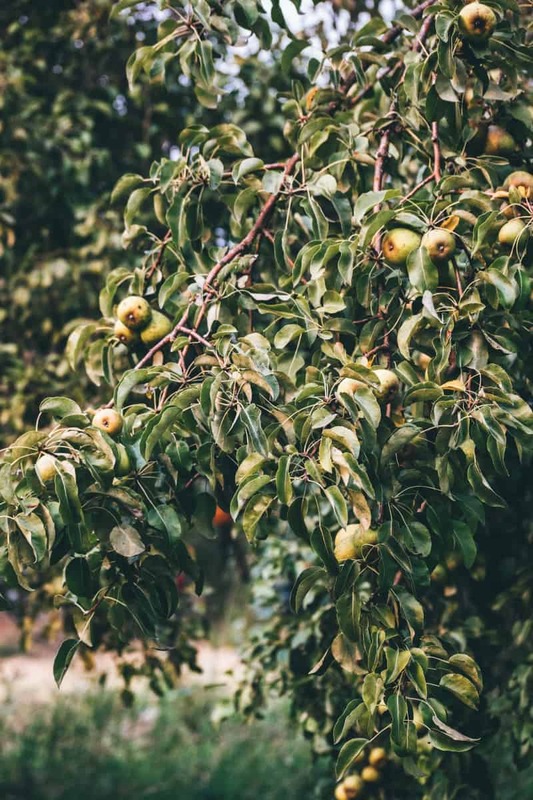 Click |HERE| for an article on functional fruit trees, how to plant them, and which varieties are perfectly suited to our South African gardens. Keep in mind that perennial shrubs such as raspberries and small tree-forming shrubs such as peppadews can form this base layer of fruit tree planting. Forests of asparagus can be planted and will come back year after year. Bay starts as an elegant thin tall shrub and forms a very large dense tree. Root crops such as garlic can be planted annually, whereas lemongrass is a hardy waterwise perennial which grows quite tall. 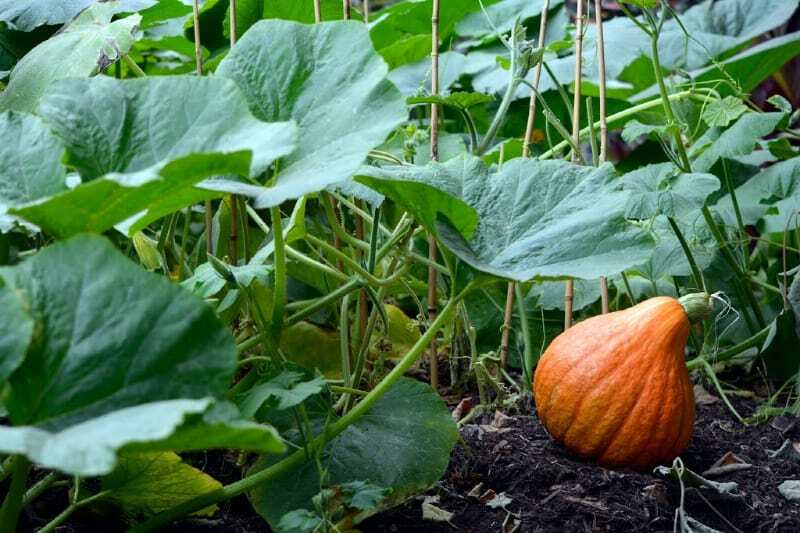 Understanding the growth habits of the crops you wish to grow will elevate your wisdom when planning your food forest. Normally in a forest setting, leaves fall over time, as do trees, and these decompose to form rich peat and humus dense soil, inviting earthworms and other insects to cycle through. When Chop and Drop is adopted, trees and shrubs are pruned with a heavy hand, and the off-cuts form this dense compost – the only factor that changes is time. Chop and Drop accelerates this process. Not often mentioned is the fact that your yield will take up to 7 years to become fully productive. You may also become part of an involuntary (on your part) food-share with critters and creatures of every size and shape- but birds and insects are also incredibly beneficial and contribute to the life of the forest. Not every food forest or food garden will be the same. 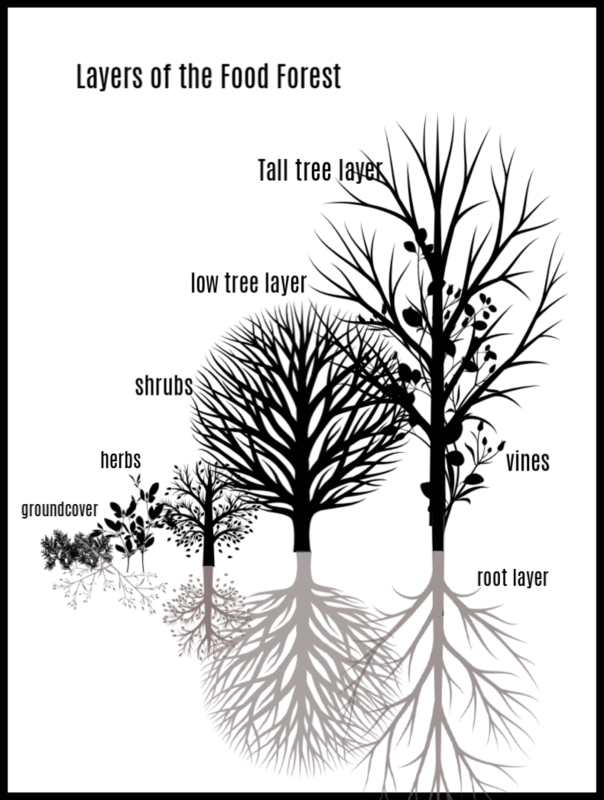 As idealistic as a 7 layer food forest is, creating a staggered layered garden with tall trees and low trees, may not allow as much sunlight in as is necessary to provide sunlight to lower lying shrubs. Consider these requirements when planning your garden, and don’t be pressured to go with a 7 layer aesthetic, when 5 layers may work better for you. This is your food forest- your decision is what counts. Enjoy this process and we wish you only the happiest journey in growing your own food in a sustainable, natural way!